I am an avid bow hunter and Sailfish and Marlin fishing roles right into that type of hunting. Knowing that any moment the excitement of seeing a deer in the woods or a Sailfish or Marlin behind the boat and having a chance to go one on one with is a moment you will always remember. But with Sailfish and Marlin you need a great team putting you in the right spot and having the right gear and boat to make it all come together. Aruba also flies under the radar for billfishings and for great opportunity for getting a grand slam (Sailfish, Blue Marlin and White Marlin) Aruba has great fishing year around, but the months of October thru February being the peak months, but the fall months being prime time for the big Blue Marlins. 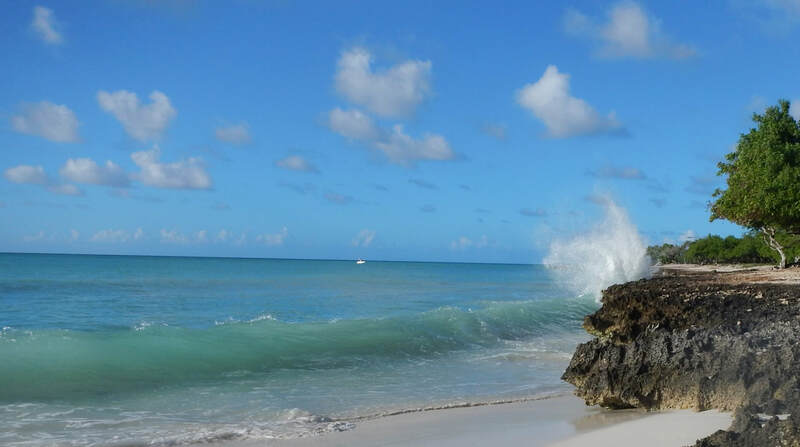 But be aware fishing offshore is not for the weak stomach – Waves on a calm day are rolling around 4 to 6 feet. Wind is always blowing around 15 to 20 mph, so be sure and be prepared, to keep your hat on head and sun off your face. 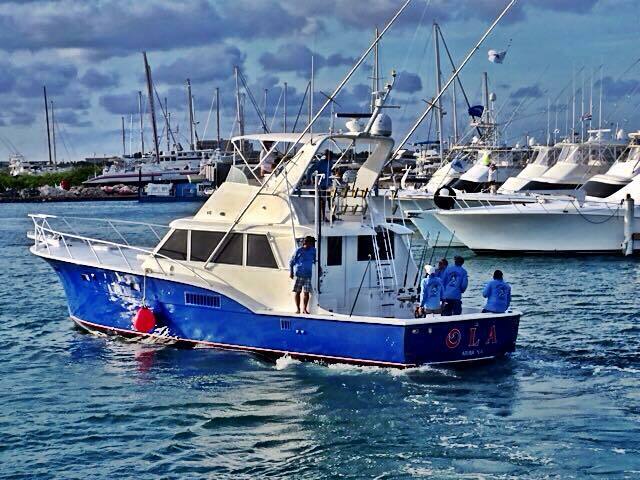 Example of how great the billfishing is in Aruba during the fifth annual Chivas Regal Aruba Caribbean Cup. 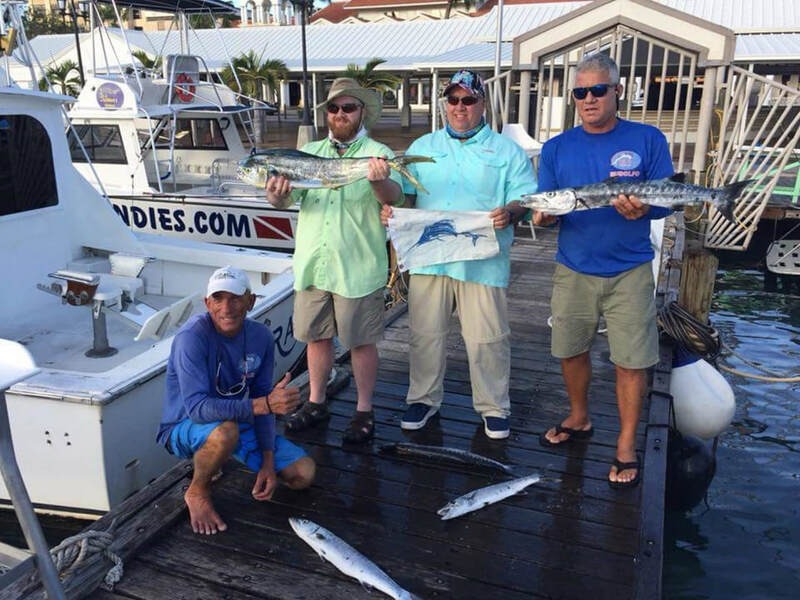 For this three-day tournament there were 17 Blue Marlins, 12 White Marlins and 45 Sailfish releases. 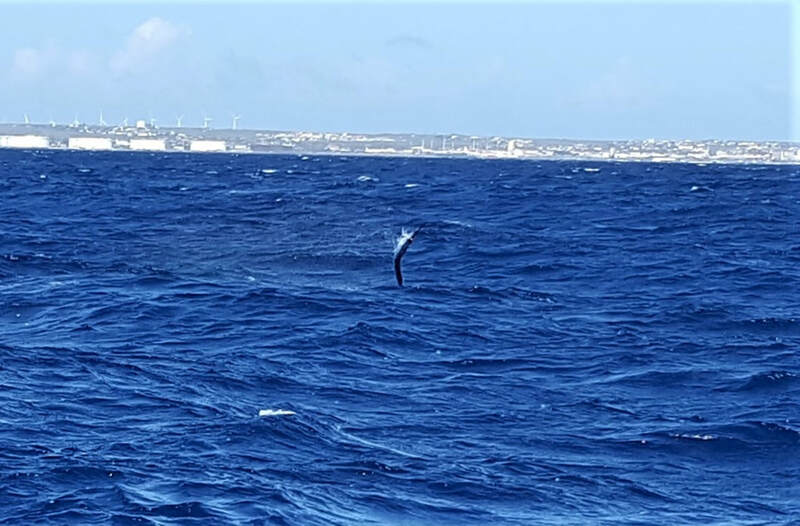 This marked a new record for billfish releases for the tournament at that time, which showcases the outstanding billfishing offered in Aruba. After two months of research and some phone calls and emails, Talking with Captain Mike Pascia over the phone. I choose the 53’ Hatteras, sport fishing yacht boat and crew called the OLA, the yacht is fully air conditioned, with a complete galley, and three staterooms with adjoining bathrooms. They are equipped with brand new safety and navigational equipment, which are inspected by both Aruban and United States maritime authorities. 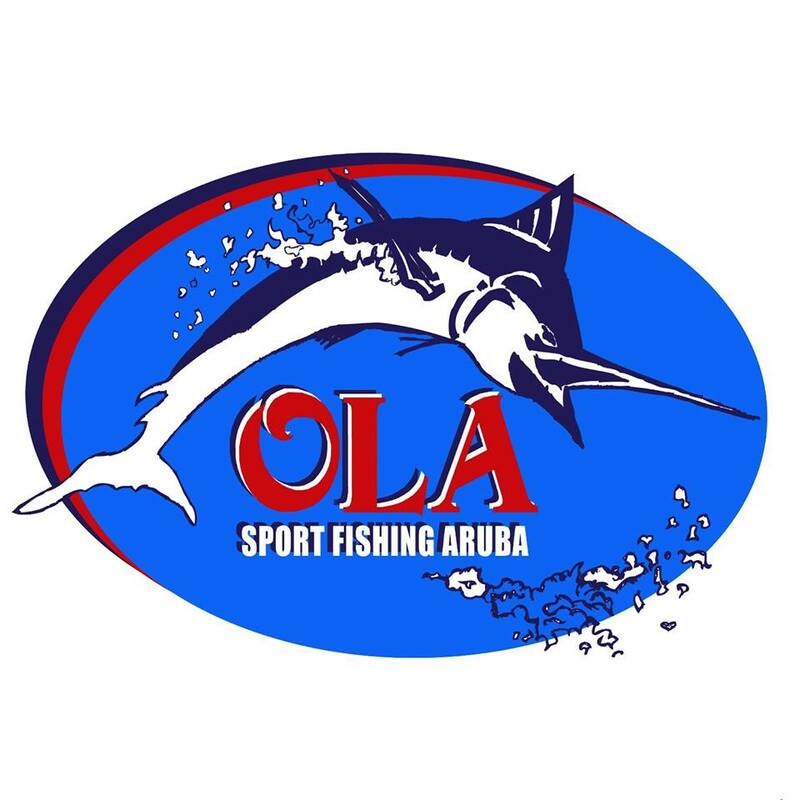 Ola has the very best in up-to date Radar, VHF radios, sounder/ depth finder and GPS navigation electronics, I book my trip about 6 months before my trip to Aruba. 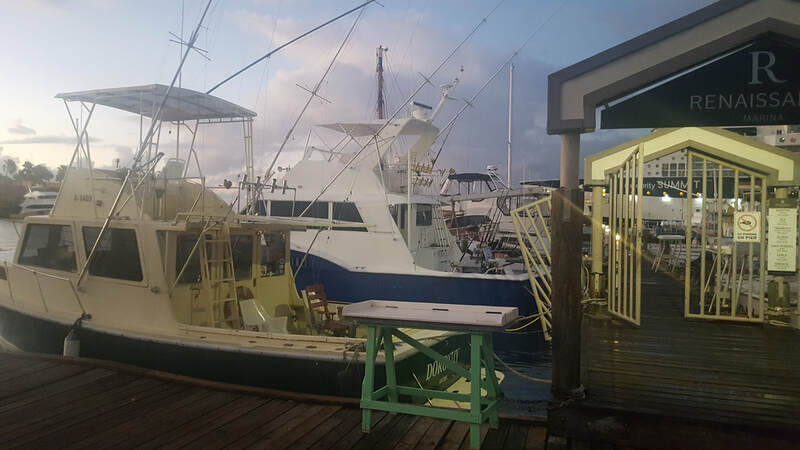 What I came to find out to be the OLA – is the Sailfish and Marlin hunters of the Caribbean. DAY ONE they had pair of Blue Marlin in releases. DAY TWO with a Grand Slam (Blue Marlin, White Marlin and Sailfish). DAY THREE two Blue Marlin and one White Marlin releases. I had one day to fish and, I asked the OLA that I was hoping to get a grand slam during my trip. That is a big asked, but they did not back off the challenge, but in reality, that is a big ask and nothing is guaranteed in hunting or fishing. Even though Blue Marlins are the ultimate big game fish and I believe the Sailfish are the most beautiful big game fish. So, at very least I was hoping to land and release this fish and that is what I expressed to them before we set out. Now there are other fish that will be hitting the lines during this time. The winter months a big Wahoo season, other fish that will be hitting the lines are Mahi-Mahi, Barracuda, or King Mackerel. As the premiere Sailfish & Marlin Hunters of the Caribbean, the OLA’s running outriggers with spread of constant fresh ballyhoo on lures along with squid teasers, squid chains and along with a reflective squid dredge and long line down the middle the OLA’s captain and crew leave nothing out of the water to put a Sailfish or Marlin on the line. During this trip the Ola’s put the top team in play. The Captain during this trip was Rudolpho Ras who is one of Aruba’s top Captain’s and Fisherman in Aruba. Captain Mike Pascia another Aruba’s top Captain and Fisherman came down below and was 1st mate on this trip, he was in constant motion making sure fresh ballyhoo was out, and we had food, drinks and snacks as needed. Captain Mike Pascia makes the trip worth wild and very enjoyable to talk with. Also, Sydney Ponson the owner of the OLA also added for additional crew member for the day and is a great Aruba Marlin Fisherman. Also as a side note for all you Baseball Cardinal Fans – Sydney Ponson was a Major League Pitcher and a part of the St. Louis Cardinals 2006 World Series Champions. 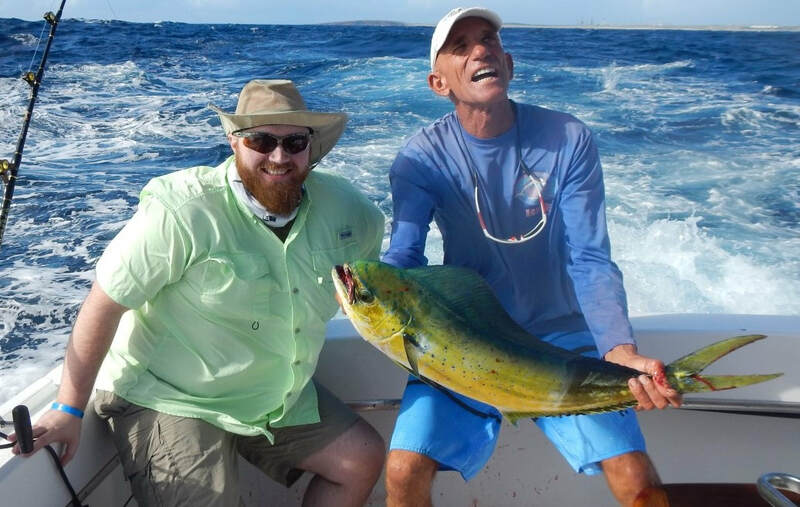 During this trip in late December we had some Wahoo strikes that tore the ballyhoo in half and landed one Mahi-Mahi, four Barracuda and an 8-foot Atlantic Sailfish. We also lost one 300 to 400 lb. Blue Marlin chase a teaser up to the boat and then it took one of the ballyhoo lures but, it thru the hook jumping out of water. But it was one of the greatest sites you will ever see jumping out of the water, at around 50 yards behind the boat it looked to be 2 feet wide. Turn out to be one of the best fishing experiences of my lifetime. 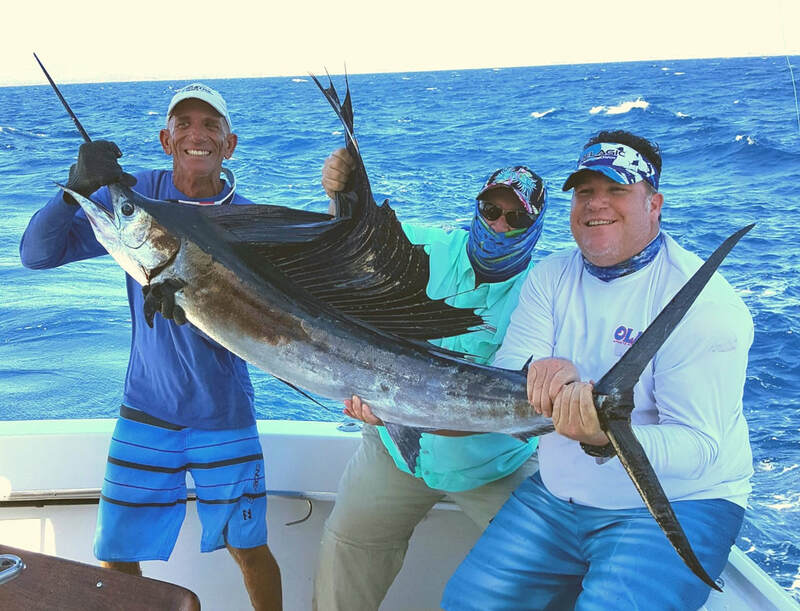 I have fished on other Charter boats in the US Virgin Islands and the Florida Keys and the OLA SPORT FISHING - ARUBA in my opinion is second to none as the real SAILFISH & MARLIN HUNTERS OF THE CARIBBEAN.